In January 2018, Hebrew defender Eylon Almog joined Hapoel Hadera (Israel), whom he is still playing for. At present, Hapoel Hadera is in fifth place in League Cup, Premier (Israel) (group A), while in Premier League (Israel) they are in sixth place. Eylon Almog had eight match appearances this season. The 20-year-old footballer was born on January 8, 1999 and is therefore five years younger than his team's average age. On the whole, he joined the pitch simply once and left it four times after the start of the match. In the present term, he played less games until end. Eylon Almog's longest stay in a team counts one year and 3 months in his current club. 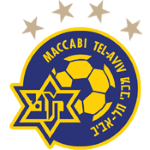 Prior to joining Hapoel Hadera, he played for Beitar Tel Aviv Ramla FC, Maccabi Tel Aviv and Maccabi Tel Aviv FC. The briefest time his spent on a team counts five months in his present club. Eylon Almog's squad lost 75% (100% home) in League Cup, Premier and lost 67% (100% home) in Premier League. Therefore they have not won a single match recently but at least managed to end in a draw 1 times. He changed four clubs throughout his career as professional. At Hapoel Hadera, he is the owner of strip number 9. Throughout his time as professional football player, Eylon Almog was not once sanctioned with a card. He reached the eight appearances milestone as a professionl, the last one being 13 days ago. He also plays for Maccabi Tel Aviv FC. 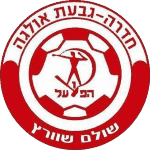 Hapoel Hadera has six more defenders in their squad, namely Diya Lababidi, Yarin Peretz, Maksim Grechkin, David Mateos, Elad Nehardea and Ababa Yakov.